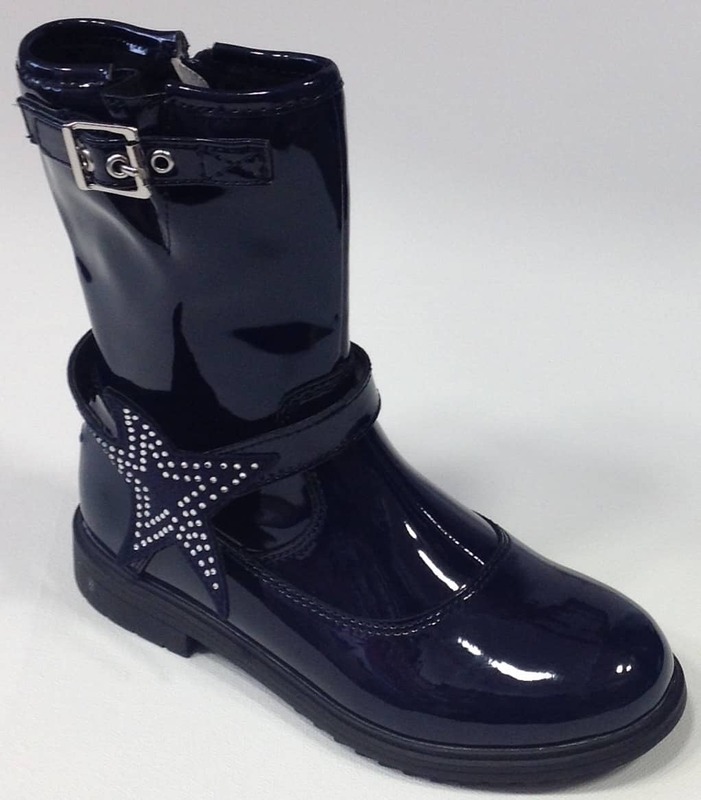 Navy patent leather mid boots with buckle feature and removable star cuff. 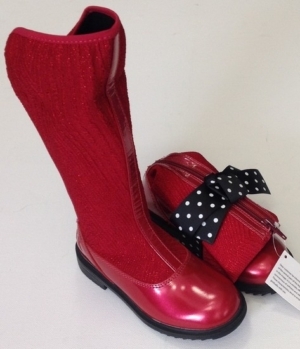 Red or black patent with stretch fabric. Back zip fastening. Foldable. 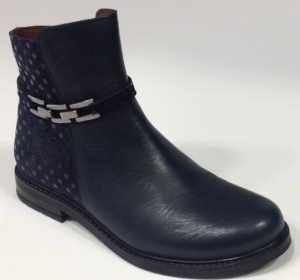 Soft navy leather with self coloured polka dot contrast back. Strap & chain feature. Side zip for easy on/off.